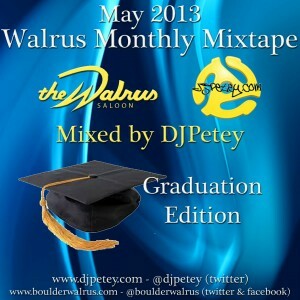 DJPetey – May 2013 MixTape – Graduation Edition – FREE DOWNLOAD | DJPetey.com!!! So, here’s the general concept for this one. We took your favorite 50 songs from the past 9 months and smashed them into a 70 minute megamix. If youre graduating, this is your senior year wrapped up an hour and some change. Kind of a year in review / kind of a greatest hits / kind of a time capsule. Anyway, whatever it is, its a FREE DOWNLOAD so get started! 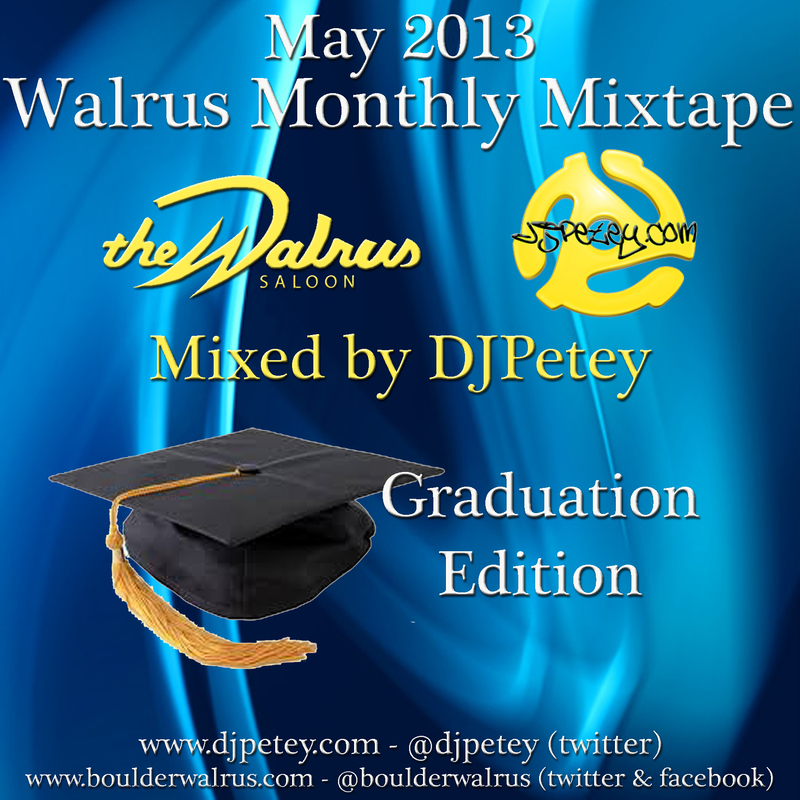 Click HERE to download / listen now (right click, save as to download – left click to listen now). If you want a physical copy, the release party is THIS SATURDAY (5.4.13) at the WALRUS! We will be giving them away FREE! Click “read more” below if you wanna check out the track listing. Enjoy! Welcome to May! 13 – Some Nights – Fun.